free mega man game released by capcom for the 25th anv. this is the english language edition. Having fought countless robot masters over the years, Mega Man is ready to lay back, relax and enjoy his 25th Anniversary. Getting wind of this, Ryu and his fellow Street Fighters want one last battle before they let their own anniversary finish. 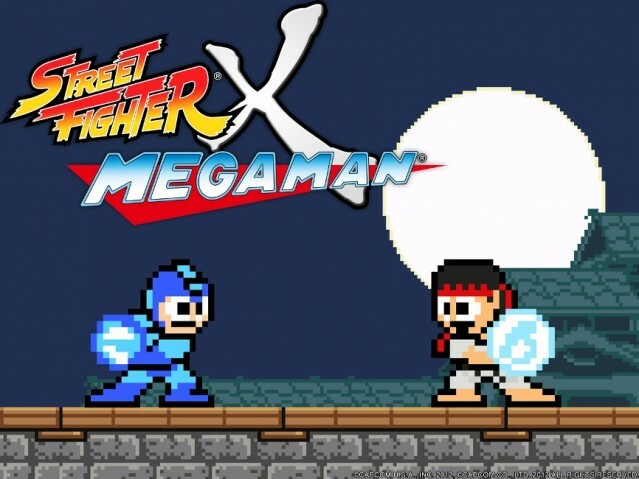 Charge up your mega busters and stretch out your lightning legs, this is Street Fighter® X Mega Man®! A true collaboration between Capcom and its fans for Mega Mans and Street Fighters 25th Anniversary, Street Fighter® x Mega Man® was created and developed by Singapore native Seow Zong Hui (aka Sonic), with an original soundtrack by Luke Esquivel (aka A_Rival), and with support provided Capcom, Street Fighter® X Mega Man® stars the Blue Bomber as he goes toe-to-toe with some of Street Fighters most beloved characters complete with their own individual themed stages and boss battles. Jump, shoot, and use your special new Street Fighter abilities to defeat your foes and become the worlds strongest robot! Street Figther X Mega Man 12/17/12 NEWEST!